We've been so spoiled by the recent 60 and 70 degree days that its easy to forget cold weather is right around the corner, (though they're predicting possible snow flurries for this weekend...looks like the party's over). In anticipation of the promise of a frigid winter, here are some thoughts on how you can slash your energy bills without sacrificing comfort. 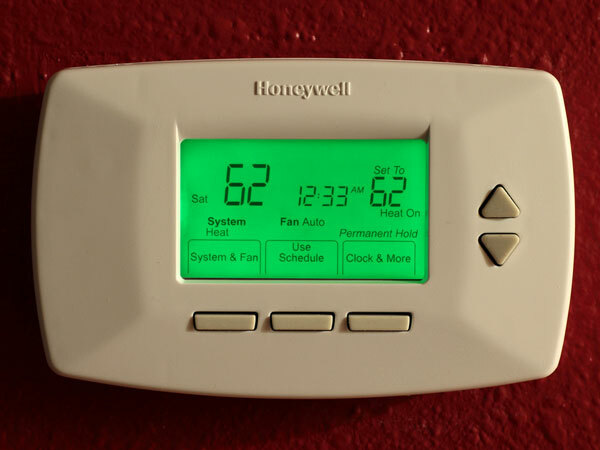 These tips can cut your heating bill by 20 percent or more. Plus, the materials are mostly inexpensive to buy and install, so you'll see a quick return on your investment. Worn and torn weatherstripping around doors and windows creates drafts and lets in cold air. Seven to 12 percent of a home's heat loss occurs around windows and doors and these leaks often prompt homeowners to turn up their thermostat to keep comfy. Even if you don't turn up the heat, you're losing warm air, causing the furnace to work harder. Weatherstripping around doors, and caulking around doors and windows can cut down on drafts. Some weatherstripping needs to be replaced every few years because of wear. Replacing it is typically as simple as pulling off the old and tacking on the new. If you can see daylight under your front door, then you're losing the indoor air you've paid to heat. If the door is not in contact with the threshold, the air is going right under the door. 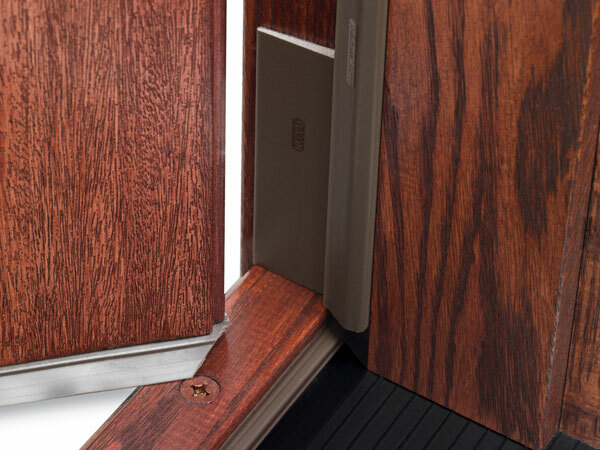 Some thresholds have four or five screws that let you adjust the height to eliminate a gap. Turn the screws counterclockwise to lift the threshold until daylight is mostly gone. A little light in the corners is okay, but don't raise the threshold so high that it interferes with opening and closing the door. The door shouldn't drag on the threshold or it will wear out the weatherstripping. Electrical boxes in your exterior walls are notoriously drafty because insulation isn't always placed behind and around them correctly. 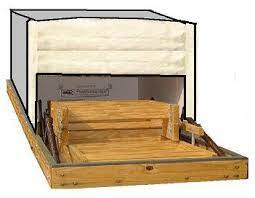 "You want to try to stop air from flowing around and through the box. To stop the leaks, remove the cover plates and fill small gaps around the boxes with acrylic latex caulk. For large gaps, use foam sealant. 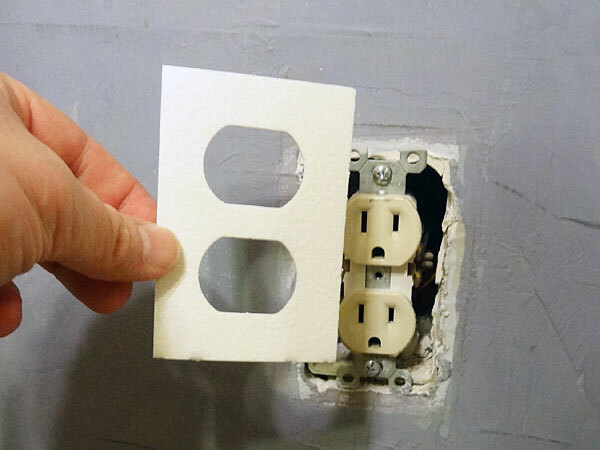 Then place a foam gasket over the outlet or switch and replace the cover plate. Pipes, gas lines, and electrical cables that enter your house often have gaps around them that have been haphazardly filled with some kind of caulk. That caulk eventually cracks, peels, and falls off. These gaps let in outside air, plus they are ideal entry points for mice and insects. Seal the gaps with expanding foam. For water pipes under the sink, unscrew and pull back the escutcheon ring, then caulk around the pipe. In warm weather you want your ceiling fans to operate counterclockwise, pushing air in downward to provide a steady cool breeze. During the winter, you can have this same fan work for you, too. 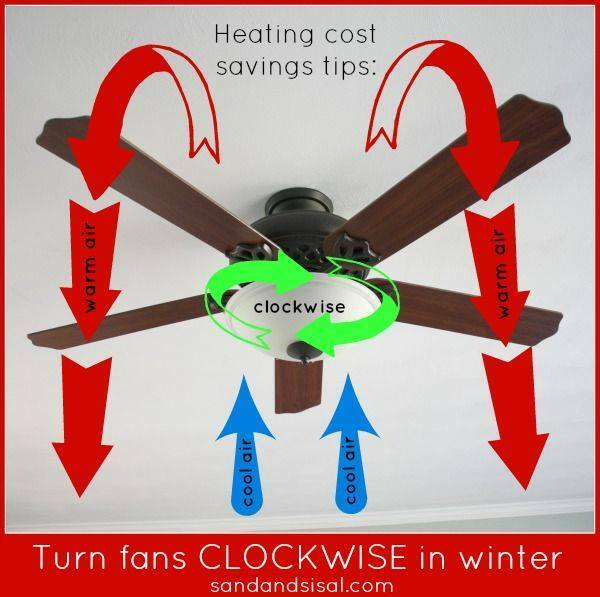 By reversing the fan's direction and keeping it at a low speed in a clockwise direction, the blades will create an updraft, taking full advantage of the fact heat rises. This reverse air circulation helps to move hot air downward toward your living space and eliminate hot and cold spots. Windows account for 25 percent of heat loss in homes. Covering the windows and sliding patio doors with clear plastic film can reduce that loss. Just by using that plastic, you're going to save about 14 percent on your heating bill. The transparent film is inexpensive. The film is simple to put on and won't harm your trim, and if you put it on correctly you'll barely notice it. In the spring, the film comes off easily. The downside to fireplaces is that when they're not in use, your warm indoor air is escaping through the chimney. 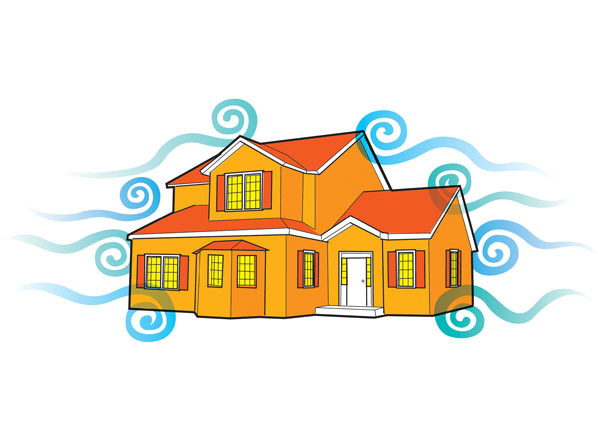 Even when the chimney flue is closed, some warm air is probably still getting away. An easy solution is to block the airflow with an inflatable chimney balloon. They can save you up to $100 a year, so they are definitely a good investment. Blow up the balloon and stick it in the chimney. If you forget to take it out before you start a fire, the balloon automatically deflates, so it won't cause the house to fill with smoke. However, be advised that the balloons can become sooty and hard to manage after repeated uses. Even in well-insulated attics, the access door may not be properly insulated, letting warm air escape through the attic hatch. And if the door is warped or something obstructs the opening, then the door won't lie flat, allowing air to leak into the attic. You don't want any air going up the access. You want to make sure the door is insulated, and you want to make sure it forms a good seal. Prices for these thermostats have dropped over the last few years. They save you money by letting you tell the thermostat to keep the temperature low during the day when no one is home and at night when everyone is sleeping, but higher at the times when you want it, such as when you get up in the morning and come home from work. People won't remember to turn the thermostat up and down each day, but with a programmable thermostat, you only have to think about it once. Hi blogger, if you need content for your website or for tier1 contextual backlinks you should read about Stoonkels Rewriter - it's very useful online tool, just google it.